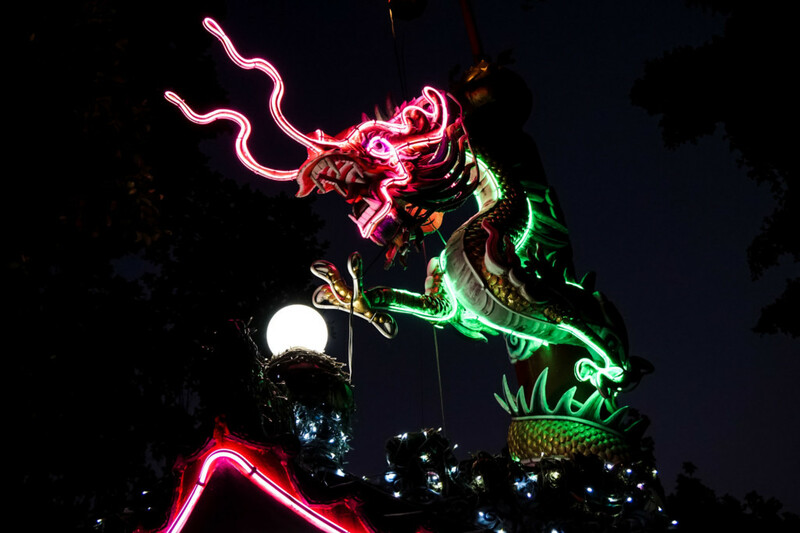 Off the beaten path in Bangkok’s suburbs, sits a tranquil park, tucked away from busy city life. Though this park is full of life, sports recreation and entertainment facilities, it is also full of death. Surprisingly this park was once one of the most feared places in Thailand and believed to be a very haunted cemetery. That is until the city decided to appease restless spirits by giving the cemetery a face-life, transitioning the drab, overgrown tombstones into a public space for all to enjoy. One of the forgotten graves of the Teochew Cemetery in Bangkok, Thailand. The Teochew Chinese Cemetery was established in the early 1900s as a place where Chinese immigrants could be buried together in one place. The park became a sprawling oasis for the dead and held thousands of graves. Never the less, time took its toll and by the 1990s the cemetery had fallen into disrepair and sat, seemingly abandoned. 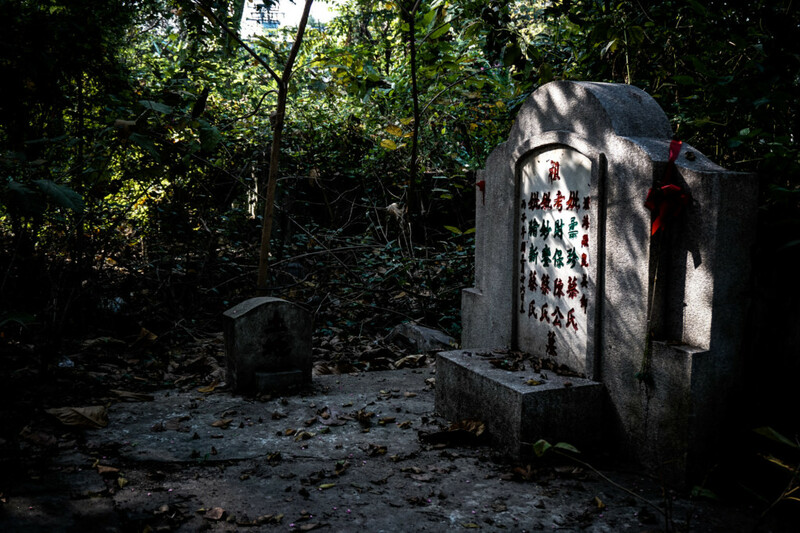 This is where the ghost stories of the Teochew Chinese Cemetery come to life. Neon decoration within the former cemetery, now public park. As the appearance of the cemetery deteriorated with time and lack of love, its fearsome reputation grew. 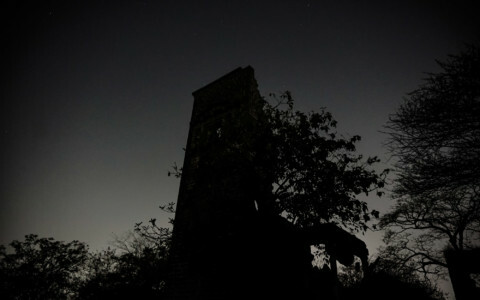 Supposedly locals became scared of this cemetery believing it held many disgruntled ghosts. The belief behind this was that the dead resting there were unhappy that they had been neglected and forgotten. 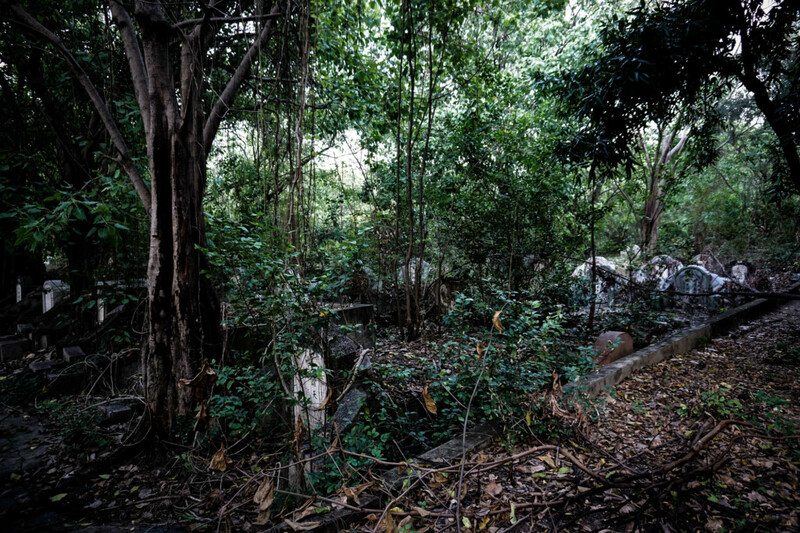 One of the overgrown portions of the Teochew Cemetery in Bangkok, Thailand. As spooky rumors spread about this haunted place, ghost sightings increased. Many people had claimed to sight apparitions within the cemetery. These sightings continued to become so prevalent that Taxi drivers even refused to pick up or drop off rides in that area, for fear they may accidentally pick up a ghost! 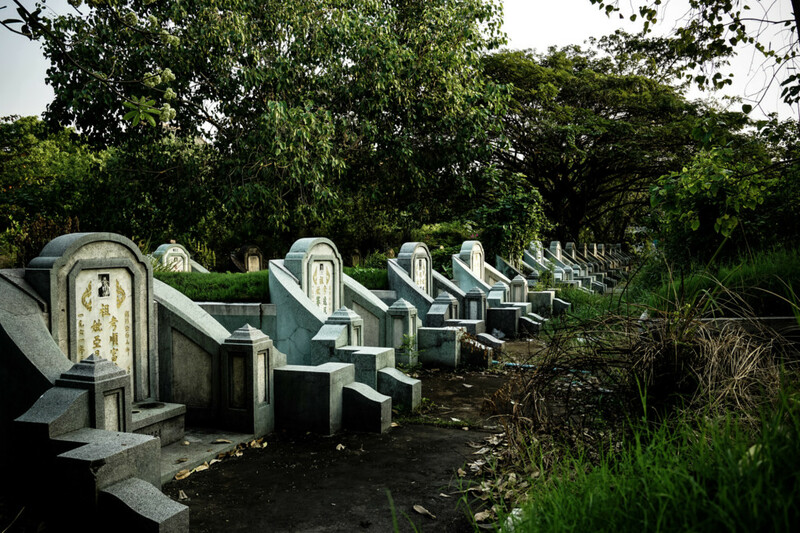 Chinese Immigrants gravestones lined up in a row at the Teochew Cemetery. Rumor has it that the cemetery’s transition into a public place of leisure has eased the spirits aggressiveness and negativity about their burial place. Though, it leaves me to wonder what the ghosts of the graves, which have not been looked after feel. A grave shaded by a heavy tree. 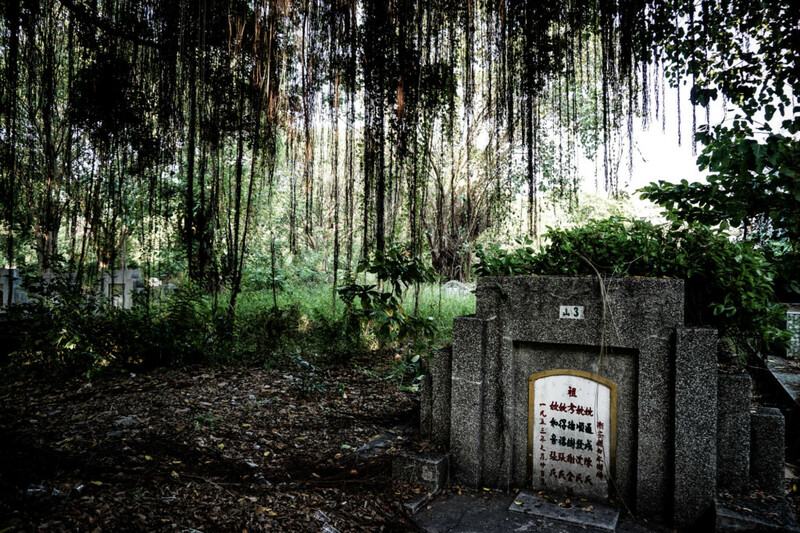 The Teochew Chinese Cemetery is open daily to the public and is free to enter. The gates are open until quite late too. The cemetery sprawls across a vast area, though not all of it is maintained. It is an interesting place to visit if you are in the area. 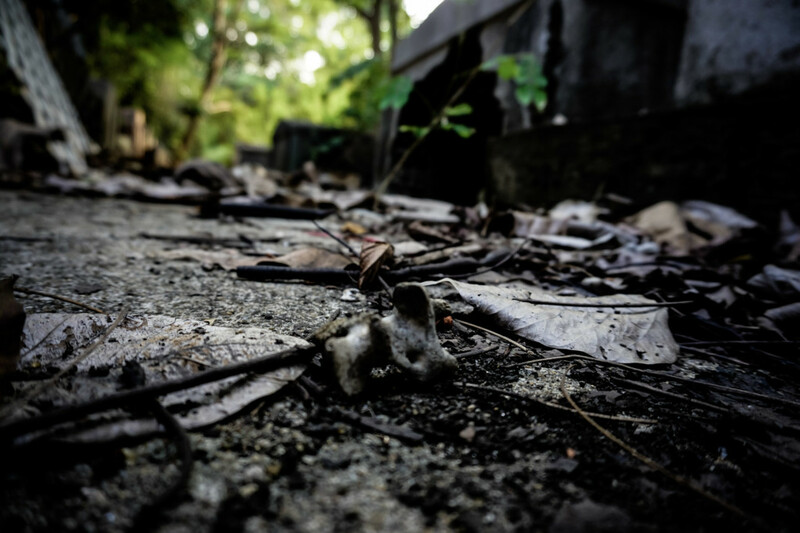 A human bone that had spilled out of a smashed grave in the Teochew Chinese Cemetery in Bangkok, Thailand. 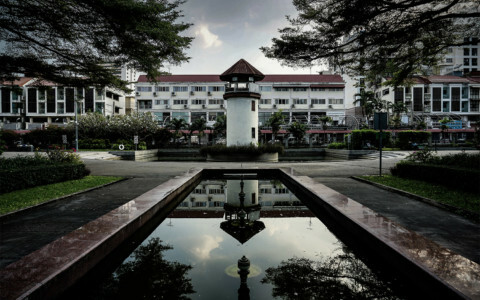 If you enjoyed this article, you might also be interested in this other haunted park in Bangkok, Thailand. 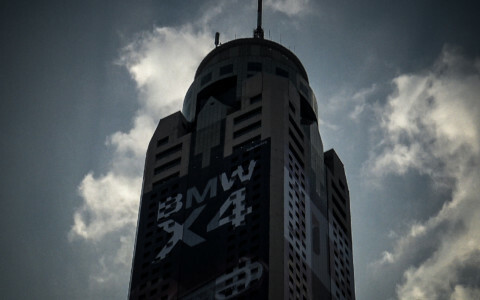 Is the Baiyoke Sky Hotel in Bangkok Really Haunted?